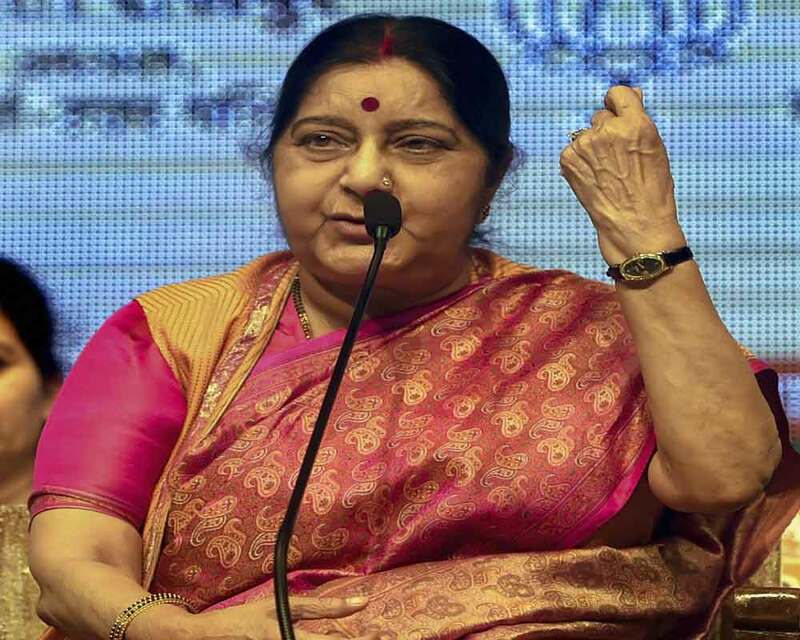 External Affairs Minister Sushma Swaraj Friday said the leaders who term China's blocking of banning JeM chief Masood Azhar at the UN a "diplomatic failure" must see that India was alone when the move was first made in 2009 under the UPA rule, while it has worldwide support in 2019. Her remarks came a day after Congress president Rahul Gandhi hit out at Prime Minster Narendra Modi over China's blocking of the UN resolution to designate Azhar a global terrorist, alleging that the PM was "weak" and "scared" of Chinese President Xi Jinping. Taking to Twitter, Swaraj said she wants to apprise the people of the facts regarding the listing of Azhar under the United Nations Sanctions Committee. "The proposal has been mooted four times. In 2009, India under the UPA government was the lone proposer. In 2016, India's proposal was co-sponsored by US, France and UK. In 2017, US, UK and France moved the proposal. "In 2019, the proposal was moved by US, France and UK and supported by 14 of the 15 UN Security Council members and also co-sponsored by Australia, Bangladesh, Italy and Japan -- non-members of the Security Council," she said in a series of tweets. She asserted that India had secured "unprecedented support" from the international community for listing the Jaish-e-Mohammed (JeM) chief under the UN Sanctions Committee. "I have shared these facts with you so that leaders who describe this as our diplomatic failure may see for themselves that in 2009, India was alone. In 2019, India has the worldwide support," the external affairs minister said. Gandhi had attacked the prime minister and said he has not spoken on China blocking the resolution in the UN Security Council (UNSC). Slamming the government, Congress chief spokesperson Randeep Surjewala had said, "Sadly, Modiji's foreign policy has been a series of diplomatic disasters." As Congress leaders, including Gandhi, had used the Chinese action to take a swipe at Modi, the BJP had hit back, saying they will be "happy" for giving headline news to Pakistani media. "Why is Rahul Gandhi in a celebratory mood when the country stands pained with this attitude of China," BJP leader Ravi Shankar Prasad had said.